So, very exciting, me and @PrimaryHead1 were out having a bank holiday drink when to our surprise we found ourselves sitting next to two other primary school head teachers. Luckily we had our own dicta-phones to hand (of course, we’re two modern men) and we were able to record a transcript of it. It’s very interesting but we would both like to stress that the following conversation does not represent either of our own personal views or the views of our schools or local authorities. I mean, anyone would wonder why we bothered recording it and typing it up and to be honest, they’d be right to think that. But nevertheless, here it is anyway. Enjoy. I suppose as a non-parent Head teacher you probably think you only see the bad side of parents. It has come to our attention that we did not have the right to record and publish the private conversation that Derek and Clive were having very loudly on the table next to us. They believe that we have infringed upon their personal liberties and right to freedom of speech. Although they are keen to point out to any parent or governor that may have read our post that neither of them were intoxicated to the point of being unable to know what they were saying; however they do not remember or agree with any of the views that they loudly made and we wrote down. We respect their views (about this not what they did/didn’t say/mean last night) and would like to apologise as sincerely as we possibly can for, as they put it, ‘stitching them up like a pair of oversmoked kippers’. We therefore have no choice but to remove the post and ask all eight people who read it to forget it. 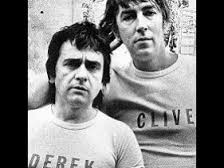 Sorry Derek, sorry Clive. Next Article SATS: welcome to the circus; don‘t invite Tinker!